FOX is ready for the summer. This week, the network announced the premiere dates for returning series MasterChef, So You Think You Can Dance, and American Grit. Season eight of MasterChef is slated to debut on May 31st. Season two of American Grit premieres on June 11th, and season 14 of So You Think You Can Dance launches on June 12th. FOX is announcing summer premiere dates for new series LOVE CONNECTION, BEAT SHAZAM, THE F WORD WITH GORDON RAMSAY and SUPERHUMAN, as well as the returns of MASTERCHEF, AMERICAN GRIT and SO YOU THINK YOU CAN DANCE. This summer, Thursdays are all about match-making and music, with the debuts of LOVE CONNECTION and BEAT SHAZAM on May 25. All-new unscripted series LOVE CONNECTION kicks off the night at 8:00-9:00 PM ET/PT on FOX. Hosted by Emmy Award winner Andy Cohen (“Watch What Happens Live With Andy Cohen”) and executive-produced by Mike Fleiss (“The Bachelor”), the one-hour series amps up the original hit dating show for today’s audiences. Each hour episode will feature single men and/or women in search of romance, as Cohen brings his personal brand of audacious fun to the series. New interactive game show BEAT SHAZAM, hosted by Grammy-, Golden Globe- and Academy Award-winning actor and musician Jamie Foxx (“Ray,” “Django Unchained”) debuts at 9:00-10:00 PM ET/PT. Executive-produced by Mark Burnett (“Survivor,” “The Voice”) and Jeff Apploff (“Don’t Forget the Lyrics!”), the series pits teams of two against the clock and each other as they attempt to identify the biggest hit songs of all time. In the end, the team with the highest score will outlast the competition and go against Shazam, the world’s most popular song identification app, for the chance to win a cash prize. On Wednesday, May 31, new LIVE series THE F WORD WITH GORDON RAMSAY debuts, following the Season Eight premiere of MASTERCHEF (8:00-9:00 PM ET/PT). On MASTERCHEF, Ramsay and renowned pastry chef Christina Tosi welcome celebrity chef Aarón Sánchez to the judges’ panel. The three celebrated food experts will put the latest group of contestants through a series of challenging elimination rounds, in order to turn one home cook into a culinary master. Then, get ready for food, family and fun when Ramsay’s bold, new LIVE series, THE F WORD WITH GORDON RAMSAY, debuts at 9:00-10:00 PM ET live/PT tape-delayed. Based on his hit U.K. series, each distinctive and fast-paced hour will combine good food and great cooking with Ramsay’s passion, energy and humor into a one-of-a-kind LIVE series. During each episode, teams of foodie families and friends will battle it out LIVE in a high-stakes cook-off, hoping to impress Ramsay, as well as celebrities, VIPs and other dinner guests. As the LIVE battle heats up, the show will feature Ramsay hosting highly stylized cooking demos and weekly out-of-the-kitchen adventures with fans, foodies and surprise guests. 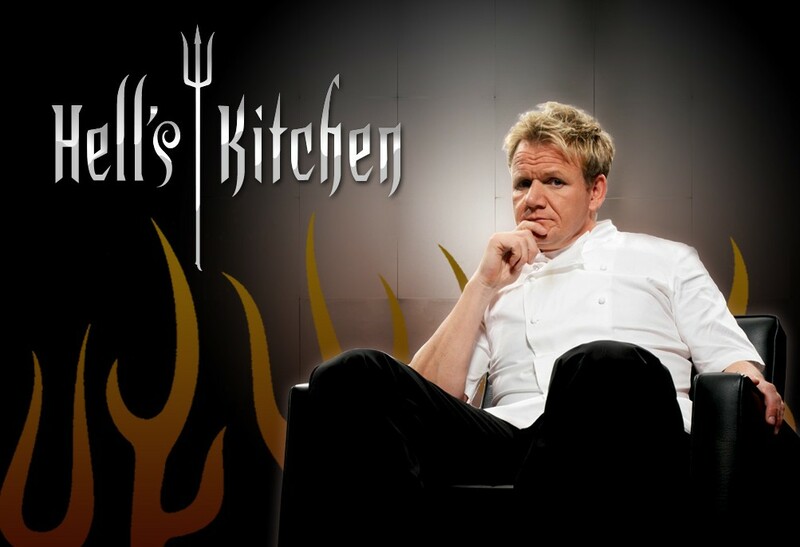 We’ll see Gordon at his best inside the kitchen, and at his most mischievous outside the kitchen. With Gordon LIVE, anything can happen! On Sunday, June 11 (9:00-10:00 PM ET/PT), WWE(R) Superstar John Cena(R) brings 17 new competitors – all who either have lost their grit or never had it – to sunny Hampton Island, GA. There, Cena and an elite group of military heroes will live alongside these people, all in search of a change, and take them under their wing as they lead them through a series of all-new epic team and individual challenges. In the end, only one competitor will win a quarter of a million dollars, but hopefully, all of them will find their Grit. Hosted by Cat Deeley and featuring the return of Mary Murphy as judge, alongside Nigel Lythgoe, SO YOU THINK YOU CAN DANCE enters its 14th season on Monday, June 12 (8:00-9:00 PM ET/PT). Highly-skilled dancers between the ages of 18 and 30 will showcase their talents in various dance styles, including contemporary, tap, hip-hop, ballroom, animation, breaking and more. The Top 10 dancers will be paired up with All-Stars who will guide them throughout the competition as they vie for America’s votes and the title of America’s Favorite Dancer. An additional judge will be announced soon. Following SO YOU THINK YOU CAN DANCE, get ready to have your mind blown when SUPERHUMAN premieres at 9:00-10:00 PM ET/PT. Hosted by actor Kal Penn, and featuring panelists Mike Tyson, Christina Milian and Dr. Rahul Jandial, this jaw-dropping series of one-hour episodes tests the abilities of ordinary people to use their extraordinary skills to win a $50,000 grand prize. In each episode, five contestants who possess a distinct, nearly super-human ability in fields such as memory, hearing, taste, touch, smell, sight and more, are challenged to push their skills to the limit, yet only one will take home the title of SUPERHUMAN and the $50,000 grand prize. Additionally, the 2017 MISS USA(R) competition is set to air live on Sunday, May 14 (7:00-10:00 PM ET live/PT tape-delayed).The not-to-be-missed three-hour special programming event will conclude with Miss USA 2016 Deshauna Barber crowning her successor. What do you think? Do you watch FOX? Which shows will watch this summer? More about: American Grit, American Grit: canceled or renewed?, FOX TV shows: canceled or renewed?, MasterChef, MasterChef: canceled or renewed?, So You Think You Can Dance, So You Think You Can Dance: canceled or renewed? 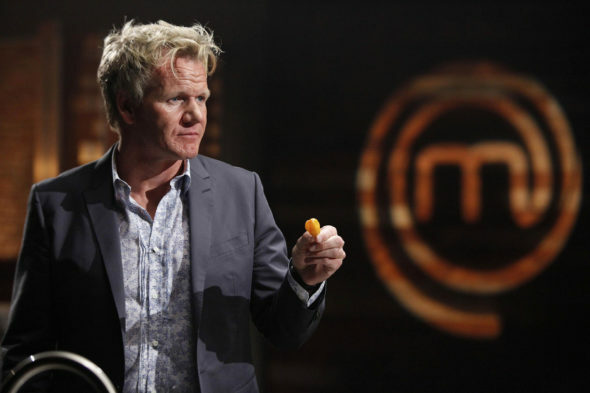 MasterChef: Another Gordon Ramsay TV Show; Cancel or Keep It?